Home VgamerZ OpinionZ Dragon Age Inquisition: Who is the Inquisitior? Dragon Age Inquisition: Who is the Inquisitior? The Inquisitor is one of the innumerous mysteries within BioWare’s upcoming game, Dragon Age Inquisition. As the main protagonist and leader of the Inquisition, this character is of the essence but who is he? Where did he come from? How did he become the leader of such powerful entity? These, among many other questions, remain to be answered. However, not everything is truly unknown. With so many Inquisition trailers and clues, it’s possible to extract a certain degree of information that leads towards the Inquisitior and his identity. Before a hero, a leader or the head of the Inquisition, the Inquisitor is a survivor. He went through hell and persisted. He was the elected or the spared, the only one to come back alive from a lethal blast that killed thousands of living beings. How? Why? That’s uncertain but everything indicates that a superior identity has chosen and saved the Inquisitor from imminent death. Otherwise, there’s no logical explanation for his survival. His mortal skills would’ve been meaningless against such menace. Also, there’s no background evidence that links him to magic (mage is one of the three upcoming main classes in game). So, how could he end up in the fade in order to escape death? As Cassandra stated, not even the Inquisitor himself knows how it all happened, so is there any doubt left that something or someone else is behind all this? I would say that Flemeth is responsible for saving another Dragon Age protagonist, just to keep the tradition going on but I’m afraid that’s not the case. Whatever pulled the Inquisitor into the Fade had to be really powerful and determined, so it pretty much opens two possibilities, it was either a demon or a spirit. But since the upcoming story is all about defeating evil and demons, it would be at least strange to give so much responsibility to a demon. On the other hand, a spirit would make perfect sense. With so much chaos and destruction going on everywhere, the benevolent spirits of the Fade certainly had their peace disrupted. Therefore, uniting the two dimensions for the better good of all would be a feasible concept. 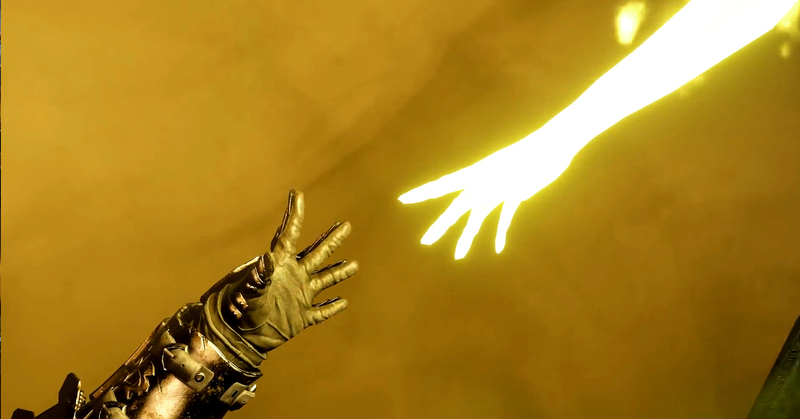 In the The Enemy of Thedas trailer, the Inquisitor approaches a luminous identity and both attempt to touch each other. I guess this was the linking act which took place in the Fade, where everything began. Afterwards, the protagonist gets kicked off the “beyond zone” and mysteriously gains the power to close rifts. Anyhow, to lead an army and follow a plan, a leader is needed and that’s when the Inquisitor comes aboard. Could it perhaps be… faith? A spirit of faith, strong enough to save, strong enough to kill. After all, isn’t it why the protagonist is the protagonist? Because he is special, he has all the necessary attributes to be a hero and savior of Thedas – it’s simply faith. 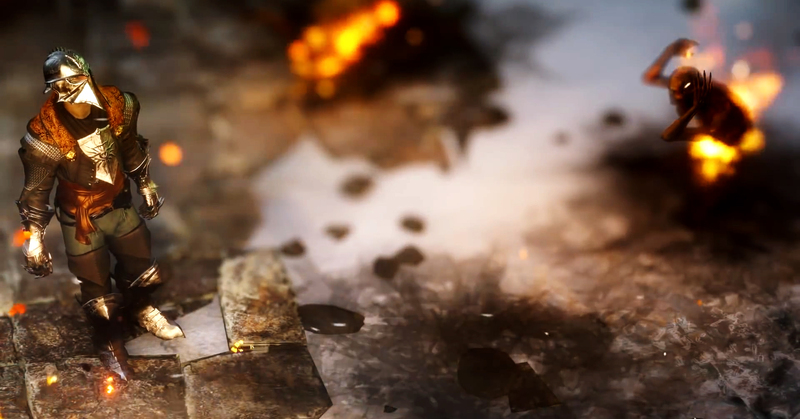 In the same trailer, a seemingly alter ego of the Inquisitor appears and fights the protagonist with a warning message, unveiling that the elder one is coming. At first sign, this looks like a hostile confront but it could be something else. It could be the reaction of an afflicted spirit, tormented by this so great evil named “the elder one”. As a habitant of the Fade, this spirit could very well sense and predict the deity’s movements within the Veil, which appears to be what he does in the trailer. Now, this is really precious information for the Inquisitor and his squad. Being one step ahead of the enemy could mean a tremendous advantage. But the question is, will it be enough to save Thedas? Probably not but reinforcements are on its way – the Hero of Ferelden and the Champion of Kirkwall will join forces in this fearless battle against evil.